I'm not really much of a holiday dresser. If anything I tend to do the opposite of what's expected. If it's booty short occasion, I'll do leather pants. If it's a dress occasion, I'll do a suit. But today I felt like getting into the Easter groove. Maybe cause it's a family day? I don't actually own anything pastel, but I did have this jacket, which is a rare floral piece in my closet. Close enough right? Pointed boots always make me want to cry in a good way. As for pastels? Eww. Thank god you don't own any. I think pastels should be reserved for painted eggs, not humans. Eh, close enough for Easter! Plus it's Celine - there is never an inappropriate occasion for Celine. LOVE your jacket. Love the outfit. Love the photos. As always. Your posts just make me happy. Not used to seeing you in anything but masculine-esque clothing. Love the pop of feminine. That Celine blazer is gorgeous, love the vintage vibe I'm getting from it. 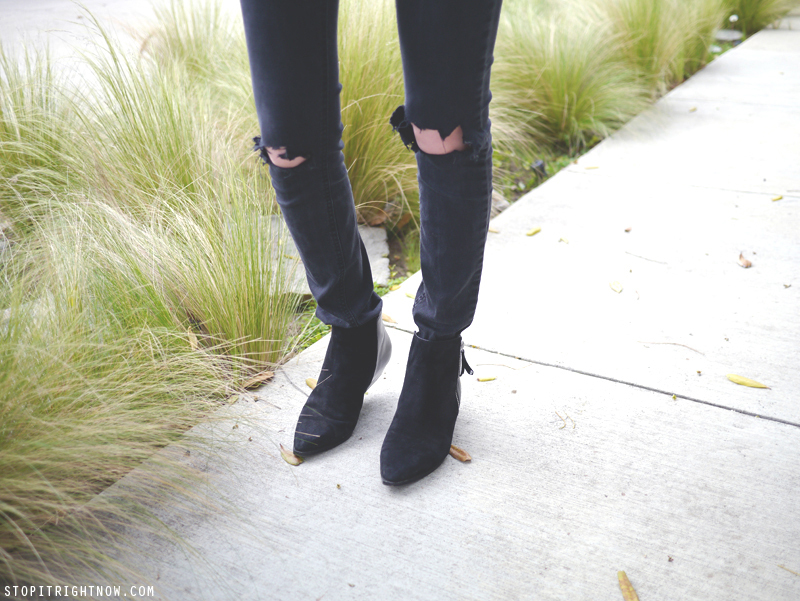 And love even more that you paired it with black torn up skinnies, so great. Close enough! Hope you had a great weekend. LOVE that blazer (and your lovely ombre)! Beautiful blazer, love how you styled it down with black ripped denims and a pair of black booties! ripped up jeans and a pop of floral is a win in my book! 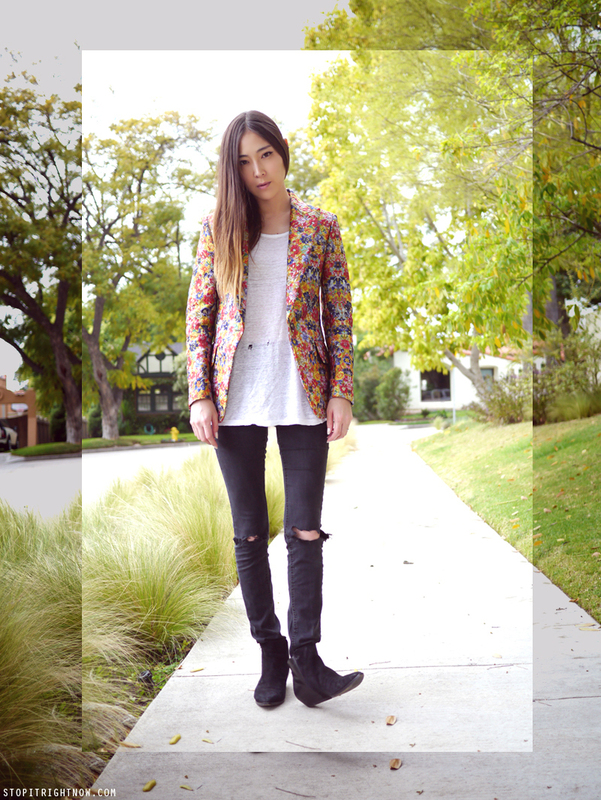 Love how you paired the floral jacket with your ripped jeans... so good!!! You are killing it... I call it Cain. That jacket is definitely pretty colorful for you, but the pants/boots/shirt combo makes it less HI IT'S SPRINGTIME AND I FEEL WONDERFULLLLL. This Celine jacket is a dream. It's beautiful!